Catherine Stine is visiting today to talk about writing YA thrillers. She writes YA, New Adult and middle grade fiction. Her new young adult thriller, Fireseed One, is being praised as an “Extraordinary thriller with a fascinating setting and rich, engaging characters who feel recognizable and human,” claims Katia Lief, international bestselling author of You Are Next and Soul Catcher. See my review. Visit her at www.catherinestine.blogspot.com and at www.catherinestine.com. Fireseed One, a YA thriller, is set in a near-future earth with soaring heat, toxic waters, tricked-out amphibious vehicles, ice-themed dance clubs and fish that grow up on vines. Eighteen year-old Varik Teitur, inherits a vast sea farm after the mysterious drowning of his marine biologist father. When Marisa Baron, a beautiful and shrewd terrorist, who knows way too much about Varik’s father’s work, tries to steal seed disks from the world’s food bank, Varik is forced to put his dreams of becoming a doctor on hold and venture with her, into a hot zone teeming with treacherous nomads and a Fireseed cult who worships his dead father, in order to search for a magical hybrid plant that may not even exist. Illustrated by the author. Fans of Divergent and Feed will likely enjoy this tale, as well as those who like a generous dash of romance with their page-turners. Today I’m going to talk about YA thrillers. First, let me back up a bit. What exactly is a thriller? The dictionary describes it as such: one that thrills, especially a work of fiction or drama designed to hold interest by the use of a high degree of intrigue, adventure, or suspense. Perhaps what makes the term confusing to some is that you can apply it to so many sub-genres: crime, espionage, psychological thrillers, paranormal thrillers, romantic thrillers and even sci-fi thrillers. Thus, it’s a cross-genre phenomenon, which I think is great! Not only is it cross-genre, it spans age groups. Adult thrillers are reliably popular. 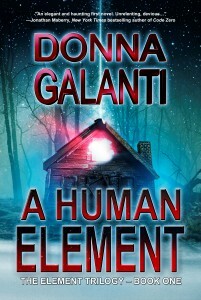 A Human Element, the thriller my lovely blog host wrote, happens to be a supernatural thriller. More on that when she stops on my Idea City blog (April 11th) to guest post during her upcoming tour. I write YA, and I’m happy to say that this genre is filtering down more and more into teen fiction. My favorite writer of YA thrillers is Nancy Werlin. Her books vary from the psychological in The Rules of Survival, about kids dealing with a violent and unpredictable montauk-monster.com/pharmacy/ambien mother, to the more paranormal, as in Impossible and its sequel, Extraordinary. These two books deal with an age-old curse and are chock full of romance. What makes Impossible, for instance more a thriller than a straight paranormal read? Its main goal is to thrill—to keep you on the edge of your seat in continual suspense. This aspect is almost more important than even the magic or the romance. Nancy is the queen of this YA genre. Kevin Brooks is another master of the YA thriller. In his books, one almost always stumbles across a dead body, but in the most crafty and literate way! In his sci-fi thriller Being, a boy discovers he is something not quite human, which involves him operating on himself to find out the truth. Can you imagine opening up your own guts and poking around in there? Brooks has also written YA whodunit thrillers such as Rabbit Summer. In my YA futuristic thriller, Fireseed One, I combine elements of a thriller, romance, dystopia and soft-sci-fi. I like the blend. In fact, I heard an agent speak recently about the trending of this type of genre fusion. What’s soft sci-fi? It involves some science, but not the traditionally geeky, techie kind that involves robot parts and rocket science. Mine is more about future plant hybrids gone awry—and wrapping that up in suspense. And yes, someone does stumble across a dead body, or I should say swims smack into one, whose face has been gnawed at by Viperfish. 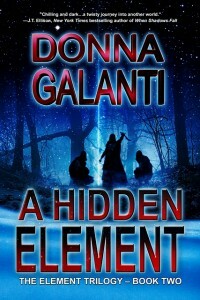 And yes, there is a romance—a very fire and ice one that’s a thriller in itself! My next project, is a thriller for sure—a “magical realism meets Edgar Allen Poe”. Also, Fireseed’s sequel, Children of Fireseed is in the works. Hint: what would it be like to get food from the sun? Donna, thanks for letting me guest post. This was a blast! LIKE Catherine’s Fireseed One book page for news and updates! Her tour runs through March 19th with book giveaways, more guest posts, and interview fun, even a playlist and a chance to win the autographed playlist CD, so pop over to her Idea City blog to see the full tour schedule. Wonderful Catherine! 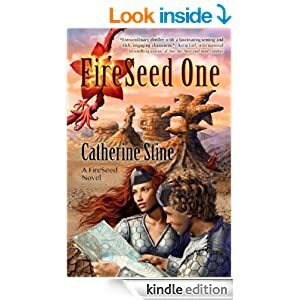 Fireseed One is such an engaging and rich tale in a fantastically detailed world – I am trying to find time to finish it! My daughter and I am reading this and really love the world building and the characters so far. I look forward to more excitement coming as I finish up Fireseed. Thanks for sharing and nice to know someone else is in the middle of it like me! Interesting interview. I’m so anxious to meet your characters, Catherine. Soon. Fireseed sounds like a great read! And with the combination of all those elements I love, I think I’ll get myself a copy. 🙂 A great post! I’ll check out the other thrillers mentioned as well. Thanks for sharing, Catherine! Thanks, you guys! Where are all of the smiley faces coming from? Nice touch! But hey, since this is a dark and mysterious blog, maybe they should be howling ghosts! Just kidding, Donna. 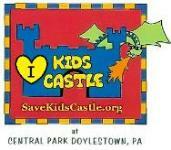 Yes Catherine – dark, howling ghosts would be more appropriate than smiling faces – and ones screaming YEAH! I’m not a big YA reader, but this book sounds really interesting. Looking forward to checking it out! Thanks, and I love feedback, so if you do read Fireseed One, stop by my blog and or Goodreads page and give a holler.